You Should Be Saying These Amazing Wealth Affirmations Daily. They Will Change Your Life and Finances!! Use the Law of Attraction to Draw Abundance, Wealth, Riches, Success, Money, and Prosperity into your life !! I allow the universe to bless me with great abundance now. My good now flows to me in streams of success, happiness and abundance. The seeds of great wealth are inside me. Abundance is simply a way of life, and I live it. Each day is filled with endless expressions of abundance. I will always be prosperous. Today I expand my awareness of the abundance around me. Abundance and prosperity are my birth-right. 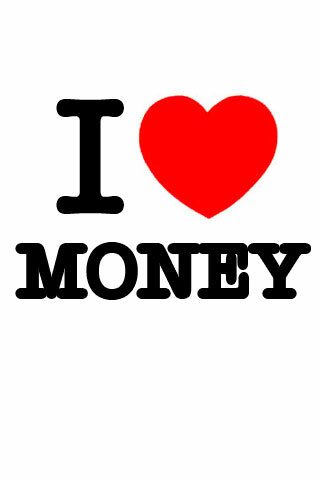 Money is positive energy that takes care of my worldly needs and desires. My supply is endless, inexhaustible, and immediate. I am debt free, and money is constantly flowing into my life. I define wealth and success my way, and I create it. I deserve prosperity, and I accept prosperity into my life. I am a wealth creator, so I am always wealthy. I am in a constant state of fulfillment. I am full of money making ideas. I have the right to be prosperous. I have more money than I could ever dream of. Accumulating money comes easy to me. It is so easy for me to become a millionaire. Wealth comes to me from many sources. I am happy being rich. I am grateful to be wealthy. Prosperity follows everything I do. I am free to accumulate wealth. I enjoy sharing my wealth. My wealth allows me to do whatever I want. I am proud to be wealthy. I use money to make the world a better place. I allow wealth to shine through me. I prosper in my finances. I welcome wealth with open arms. Being wealthy and staying wealthy is in my nature, therefore I am always wealthy. Everything I need in life is mine. I invite wealth into my life. I am successful because I know what I want and I ask for it. Each day my life is filled with wonderful abundance. I believe I have the right to be prosperous, abundant, and successful. I am growing spiritually, emotionally, and financially. Abundance is within me, abundance is around me. I allow myself to have the good things in life, and I enjoy them. The Universe wants me to have great abundance. I am skilled at creating assets that make me wealthy. My wealth continues to grow. My prosperous thoughts create my prosperous world. I give thanks for my incredibly prosperous life, and the prosperity yet to come. I always have enough money to fulfill my needs. I feel wealthy and successful. My circumstances are changing, and prosperity is flowing into my life. Great wealth is flowing to me now. I am filled with great abundance now. Unexpected income flows to me. I expand my awareness of the abundance around me. Wealth and prosperity are circulating in my life. Abundance around me, abundance within me, abundance through me. I am more wealthy than I ever imagined. I was born to be prosperous. White Lotus by Kevin MacLeod is licensed under CC Attribution 3.0.